Milwaukee's Central Library rooftop both absorbs rainwater and collects solar energy. The city plans to add a megawatt's worth of solar on nine municipal buildings to offset the impacts of climate change. The world faces dramatic consequences ranging from heightened food shortages to shrinking coastlines as soon as 2040 if greenhouse gas emissions continue at the current rate, according to scientists from 40 countries convened by the United Nations. For years experts believed a rise of 3.6 degrees Fahrenheit was the threshold for severe impacts. But after reviewing more than 6,000 scholarly studies, the scientists concluded human health, economies and ecosystems will suffer with a smaller rise of 2.7 degrees. Some states and cities are already taking action. Erick Shambarger, Milwaukee’s environmental sustainability director says the city is one of many municipalities trying to offset climate change impacts. Milwaukee's plan includes harvesting solar power. The roof of the Milwaukee Central Library in downtown generates about 36,000 kilowatts, enough to power 5 homes for a year, according to the Milwaukee Environmental Collaboration Office. But due to the scale of climate change, Shambarger says they’re adding to the city’s solar capacity. Milwaukee has a green infrastructure plan that includes installing rain gardens and other systems to slow and soak up stormwater without expending excess energy. “But we have to go much further than that. The scale and urgency from the U.N. report tells us that we need utility scale solar. That means building stuff at scale of power plant – wind or solar,” Shambarger says. The global warming report might be tailored to policymakers, but Shambarger believes citizens are critical to curbing climate change. “I think there is growing awareness, but I think the urgency is outpacing people’s consciousness of this. Easy to blame politicians for not taking action but people who vote for politicians need to make this an issue, write to them whether you’re in a rural or urban area,” Shambarger says. Wisconsin native Melissa Scanlan is Professor of Law at Vermont Law School. She read through the dense report. "[It] says we need to get to net zero CO2 emissions as quickly as possible and the longer we wait, we’ll hit tipping points from which we can’t return,” Scanlan says. “The changes are pretty radical, but it doesn’t mean lifestyles will be completely disrupted. It’s not as if we have to stop using electricity, but we need to switch off fossil fuels to renewables and we have the technology to do so,” Scanlan says. Tia Nelson with the Outrider Foundation is the daughter of Gaylord Nelson, who's credited as the founder of Earth Day. Nelson has spent a lifetime immersed in the environment and says the U.N. report presents the global challenge in stark terms. While the basic understanding of climate change — that burning fossil fuels emits carbon dioxide that remains in the atmosphere and warms Earth — isn't new, she says the report highlights human-caused science change. Nelson says the climate challenge requires an all hands on deck strategy. “I hope the report creates conversations and inspire citizens to ask their elected official – be they local, state or federal – what those elected official are doing to protect our future and the future of our children,” she says. Nelson says it will take public policy at every level of government in countries around the globe to avoid the dire projections in the report. What Can A Climate Summit Accomplish? People worldwide recently protested climate change in the “Rise for Climate” march. Last Saturday, thousands took to the streets of San Francisco, the site of this week’s Global Climate Action Summit, and hundreds gathered in downtown Milwaukee. Azam Niroomand-Rad was among 350-plus people who walked through downtown Milwaukee. “We are here so people are aware of their environmental problems so that in November they will be able to vote for the candidates who support environmental issues,” she said. 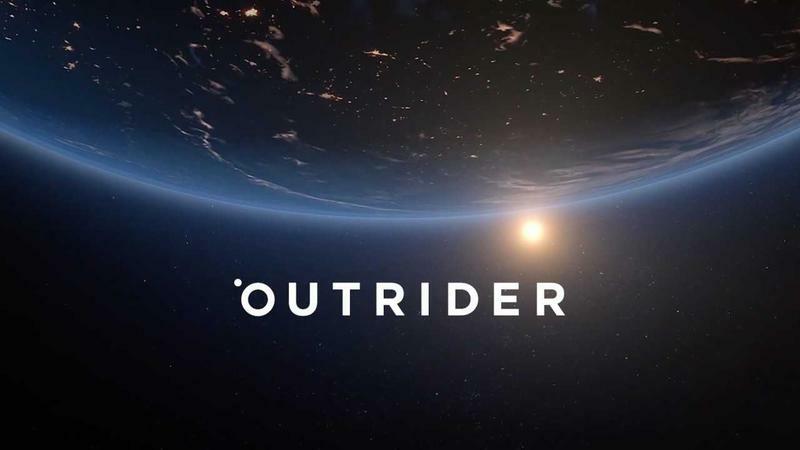 The Outrider Foundation's website opens with a dramatic satellite view of the earth slowly rotating as the sun blazes in the background. Click on climate change and images of intensely populated, highly industrialized scenes unfold. A giant ice formation crashes into an icy sea.